A Bit of Insight from Skylar! | I am JuJu! A Bit of Insight from Skylar! A couple of weeks ago I mentioned that since starting hyperbaric oxygen therapy in late August, Skylar has begun verbalizing thoughts to us in a way she NEVER has before. Skylar was diagnosed with Autism over 9 years ago and although she is verbal, most of our “conversations” include movie lines, song lyrics, requests for food, and her pleas to return to Disneyworld as soon as humanly possible. I am so thankful that Skylar is as verbal as she is. I’m forever gratelful that I know my sweet girl’s voice and that I’ve been blessed to hear her say “I love you mommy” many times. But like many parents of children with some type of communicative disorder, I long for the day that Skylar can clearly tell me what she is thinking and why she does some of the things she does. A few weeks ago, we got a taste of what that can be like. My mouth dropped. I was speechless (trust me, this is not the norm for me). All Chris could say was “Holy Crap!” Skylar has not said anything like this EVER! 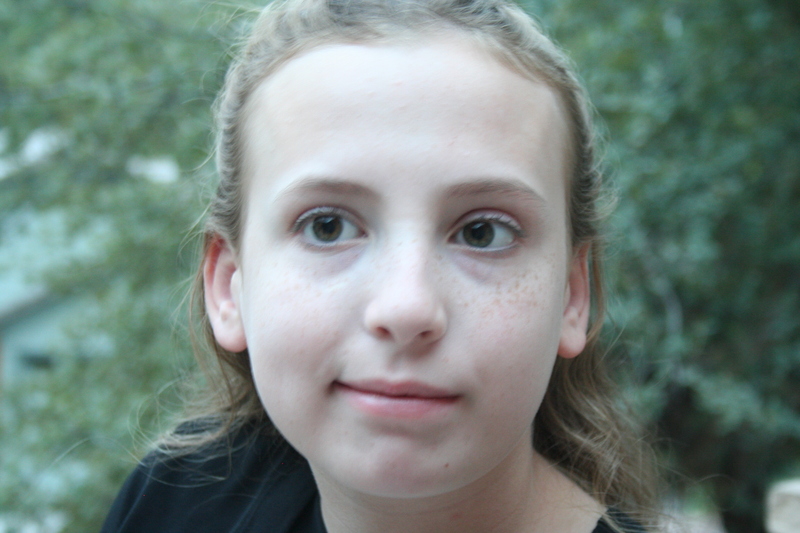 We have always been very careful how we talk about Skylar and about Autism in front of her. If there has ever been a time that we needed to discuss delicate matters regarding her, we have made sure that we do it in total privacy. I have always believed that Skylar hears everything and her comment “I’m ALWAYS listening!” just confirms that to me. I’m looking forward to more insight from Skylar as time goes on. I love that she was able to communicate to me in a way that she has never done before. I was so thankful for that brief exchange in my kitchen a few short weeks ago. It has given me great hope! This entry was tagged Autism, communication, hyperbaric. Bookmark the permalink. That is so great! What an incredible gift! I love that your post made me think about my parenting and that I feel mad, frustrated and angry when they don’t look me in the eye. Maybe just maybe- she is NOT being disrepectful. She is just processing what I am saying in a different way. Thank you for this insight into my parenting! Love you guys! love, love that God is doing amazing things for Skylar…SHE HAS AN AMAZING FUTURE AHEAD OF HER!!!!!!!!!!!!!!!!!!!!! !